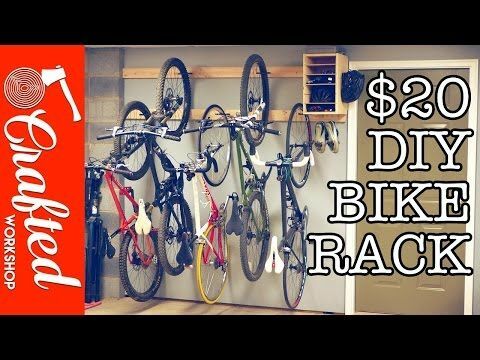 Looking for a cheap and easy DIY bike rack? 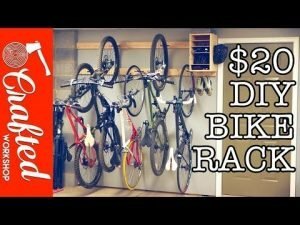 This rack requires nothing more than a drill and a few 2x4s, some bike hooks, and a handful of screws. For measurements and more, check the video in the project that is linked near the bottom of this page. 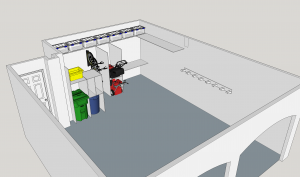 This plan even calls for a simple cabinet box that has adjustable shelves to house your accessories. 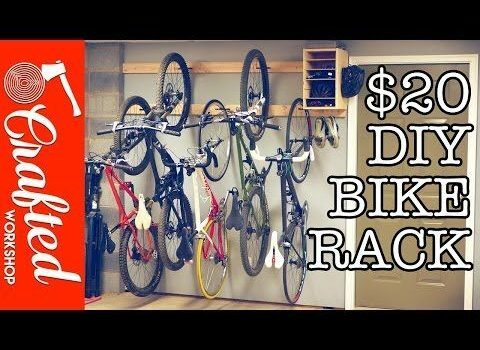 If you have a clear path to your wall, this might be the best bike storage option for you. I decided to redo the layout of my entire garage partially based upon this simple project. 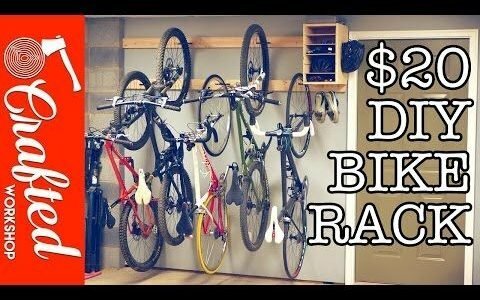 I have three bikes in the garage and they take up a lot of floor space. Bringing them up off of the floor in such a simple way is great. See the following image for the new layout. Good luck with your own bike rack project.